Every kid daydreams about their toys coming to life and playing with them. 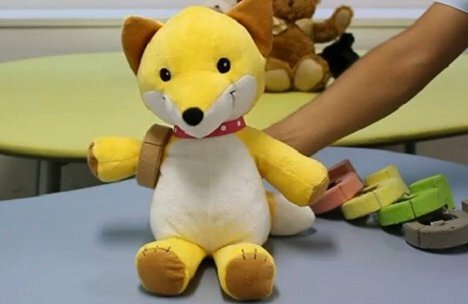 Until now, it’s been just a daydream – but thanks to technology, a cool new gadget can turn soft toys into animated friends capable of a few simple movements. Your toys won’t get up and walk around, but they can at least wave hello. The secret is a little clip-on ring called Pinoky. The small device clamps onto an arm, leg, ear or whatever and makes that extremity wiggle around without the need for wires or other annoying bits. 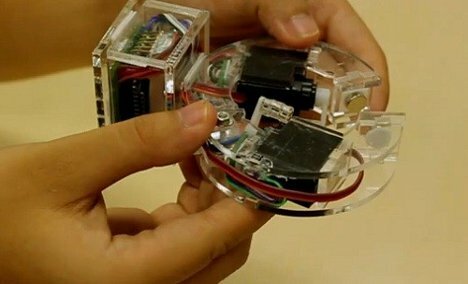 Users can program the Pinoky to perform certain actions or act in sync with other Pinoky units. The snake wriggling in the video above is a priceless example of how the little clips work. 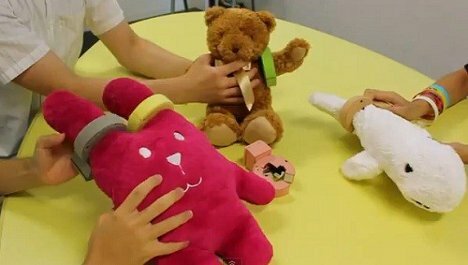 The Pinoky works on a pretty simple mechanism: a microcontroller, a servo, a photoreflector, an RF microchip and magnetic clasps, along with a battery, all combine to bring stuffed animals to life. Admittedly, stuffed animals coming to life is a slightly creepy prospect…but it’s adorable when you see it in action.